The 2017 Shanghai International Elite 10K Race was held on Sunday morning, featuring a total of 6,000 runners. 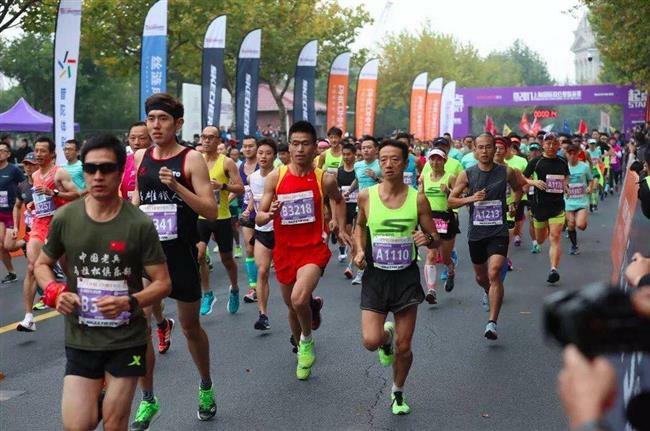 Of the total, 5,400 runners competed in the 10-kilometer main race, which was held along the ecological zone on the north side of the Suzhou Creek in Putuo District. Emanuel Giniki Gisamoda of Tanzania won the men’s race in a time of 28 minutes and 49 seconds. He was followed by Uganda's Dickson Huru (28:53) and Joseph Tiophil Panga (28:58), also from Tanzania. The women’s title went to Kenya’s Alice Jepkemboi Kimutai (33:34), who was followed by Uganda’s Rebecca Cheptegei (33:44) and fellow countrywoman Ruth Wanjiru Kuria (34:01). The other 600 runners took part in the 2K family run, featuring young participants aged between 6 and 15. As one of the Shang-ma series running event, the Shanghai International Elite 10K Race proved its popularity in its second year. According to organizers, all quotas were taken up within one hour after the registration channel was opened to the public last month. Around 480 volunteers, 40 medical staff patrolling the route on bicycles, as well as the presence of 400 police officers and 600 security staff ensured the event was a success. The top eight male and female finishers of the main race gained entry to the 2017 Shanghai International Marathon, which will be held on November 12. The top 300 male and female runners can win spots in next year’s Shanghai International Half Marathon. Runners take part in the Shanghai International Elite 10K Race on October 29, 2017.